The anthropological section includes human bones from excavations exhibiting palaeopathological symptoms, and skull models of the ancestors of modern man. The section of mammals includes a variety of most of the mammalian orders with specimens from all the continents. In separate large showcases, several impressive animals are shown, such as a large moose from Canada, a group of large felines from Africa and one giraffe. The section of birds includes a large number of specimens from all over the world, especially from Greece, shown according to their habitats. Also, several eggs and nests, some species that have become or are in danger to become extinct from Greece, and finally a separate presentation of large non-flying birds such as ostriches. The section of amphibians and reptiles includes most of the amphibians and reptiles of Greece and many from other parts of the world. Some large reptiles such as crocodiles, pythons and sea turtles are presented separately. The section of marine vertebrates includes marine and freshwater fish as well as marine mammals. Most interesting are a giant white shark and the skeleton of a minke whale. The section of insects includes a variety of insect orders, some species, which are pests, and some which are useful for man, insects of Greece in their habitats, and the insects of other continents outside Europe. The section of mollusks includes a large collection of several mollusks from Greece and abroad. The section of marine invertebrates includes sponges and corals from various parts of the world. The D. Papalios collection is exhibited in a separate section of the museum. It includes animals from many parts of the world. In the dioramas we can see scenes from the African savanna, the arctic region, ostriches in African grasslands and the habitat of the American bison. Some threatened animals are presented separately. Among them we can see the Mediterranean monk seal, the loggerhead turtle, the brown bear and some threatened birds. 30,000 persons, mostly school children of primary and secondary schools, are visiting the exhibition every year. 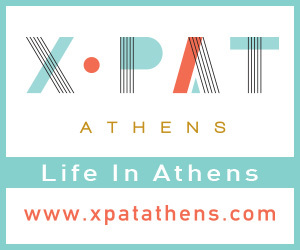 How to get there: Department of Biology, University of Athens: i At subway station Evangelismos, take bus 250 to the university (Panepistimio). ii At subway station Katehaki, take bus 251 to the university (Panepistimio). How to get there Department of Biology, University of Athens: i At subway station Evangelismos, take bus 250 to the university (Panepistimio). ii At subway station Katehaki, take bus 251 to the university (Panepistimio).